Welcome to the beautiful city of Fountain Inn. Nestled in the foothills of Upstate South Carolina, Fountain Inn is a charming city in the heart of an incredibly scenic state. Only minutes from the mountains and a couple of hours from the coast, Fountain Inn is the ideal location for relocating families, friends and business. Home to many award winning schools in the Greenville County School District, this quite city has lots to offer and is still convent to all the amenities of nearby Simpsonville. You'll enjoy the fresh, local produce at the Fountain Inn farmer's market. Your family will love the many holiday festivals and events at the town square! And you'll enjoy a variety of concerts, musicals and plays at the local community theatre! All of these features make Fountain Inn a great place to live! 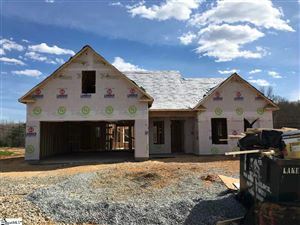 To find a place to call home in Fountain Inn, CLICK HERE!